In the last decade, drone racing has flourished into a beautiful sport, that’s being practiced at a global level. Furthermore, pro players have the possibility to enroll in official drone racing leagues, such as The Drone Racing League or the US Drone Racing Association (just to name a few). 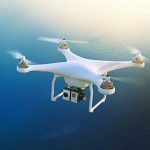 Due to this surge in popularity, drone producers started focusing more on the features that make a quad faster (such as durability, flexibility, light frames, powerful motors, ease of use, and so on). This led to a wide range of new products, in both BNF and RTF versions, which is a great step forward from the time you had to use a kit to build a high-speed quad. But, with so many available products that promise speed and a smooth flight, it’s easy to get confused. 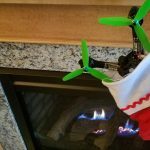 This is why I put together a top 5 of the best racing drones designed for both beginners and advanced pilots. 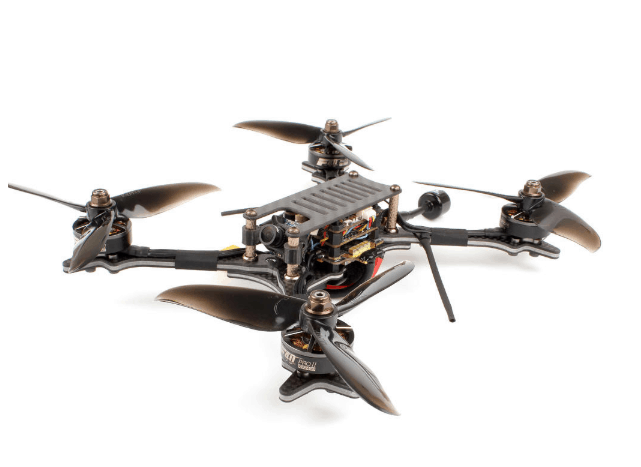 This is a BNF racing quadcopter with an aerospace grade carbon fiber frame that makes the build solid and lightweight (270g with propellers). Furthermore, the arms can be easily replaced (in case they get damaged) and, to increase durability, the Emax HAWK 5 features reinforced top plate braces. 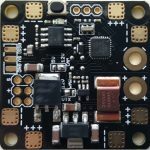 Fitted with a Frsky XM+ receiver (16 channels) and an F4 flight controller with built-in Betaflight OSD, the drone can be connected to a pair of FPV goggles such as Eachine EV800D or to a 2.4GHz RC transmitter (some cool product ideas here). 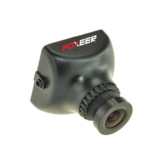 The brushless motors and 30A ESCs help deliver high flight performance, and the 600TVL CCD camera, with 150-degree lens and a sharp angle, is amazing at immersing the pilot in the experience. Moreover, the vibration dampening suspension system reduces the shaky aspect of the video to the point where you feel like you’re in a video game (if you’re using goggles). Overall, the Hawk 5 feels like a top-tier racer, but at a much attractive price point (around $250). The thing I love most about it is that you can fly it right out of the box since it’s properly tuned. The TS215 is a medium-sized racing drone, with a 215mm wheelbase, that can be found in two different versions (BNF with receiver and PNP). The frame is made of 3K carbon fiber for extra durability and the top and bottom plates are 4, respectively 3mm thick, to keep the overall design as light as possible (329g without the battery). You also get Cyclone props in two different colors, an F4 based flight controller (which is integrated into the frame), and a DVR (which is considered an improvement compared to older versions). 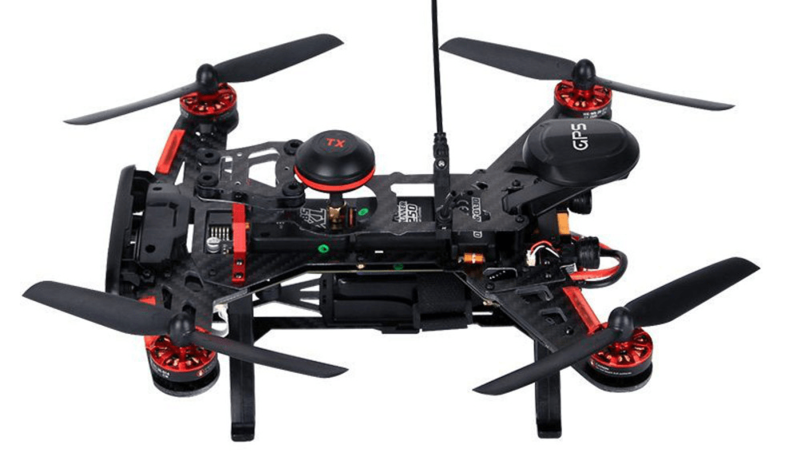 The drone features four TS2306 2450KV brushless motors, which are being powered with the help of TS 40A brushless ESCs (to avoid damage due to wear and tear). Both the motors and the ESCs support 2 to 6S LIPO batteries, but for ideal thrust, I recommend a 4S battery. Quick note: keep in mind that the motors are very open, so make sure to avoid flying in bad weather conditions. The TS215 is equipped with a RunCam Swift 2 camera that supports 600TVL resolution in 4:3 format, with integrated microphone and OSD. The camera can be used during day and night due to the backlight compensation feature. The BNF version is delivered with a Frsky XM+ Micro D16 SBUS receiver with up to 16 channels and supports a range of up to 4km with an omnidirectional RHCP antenna. Overall, the Wizard TS215 from Eachine flies very well, the battery holds on quite nicely, and you don’t have any perceivable lag in receiving the video. 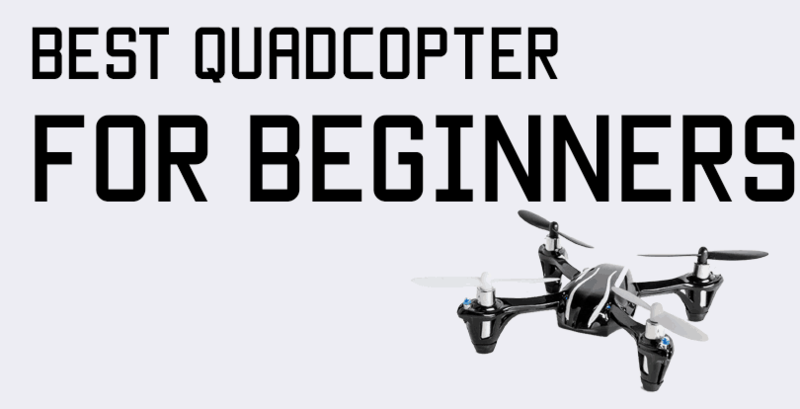 While the propellers are not the best for high-speeds and the frame is not the lightest, the solid build and good range make this a perfect candidate for any beginner. This is an RTF design that comes with a DEVO 7 (Mode2) radio transmitter, an FCS-Runner 250(R) flight controller, and GPS system. The main frame is made of carbon fiber and maintains an overall rigid structure, to protect the quad’s sensitive components. The drone is equipped with brushless motors and Runner 250 ESCs. All these are powered by an 11.1V 2200mAh 25C 3S LiPo battery, which provides up to 12 minutes flight time. The Runner 250R is designed with front and rear LED lights (which are very bright) so you can see its position when in flight. The camera supports 800TVL resolution and can be tilted to get a better angle. Moreover, the GPS system allows ‘auto hovering’ and ‘one-key go’ features. Not to mention, the drone comes with a built-in 5.8Ghz FPV Video Transmitter and OSD module for telemetry data. While it’s not the lightest drone on the market (446g without battery) the Walkera Runner can be a strong opponent in a race. Its modular design makes it easily upgradeable, but you can also enter a race without making any improvements. Available in both BNF and PNP, the Holybro Kopis 2 SE is a fantastic little racing quad! 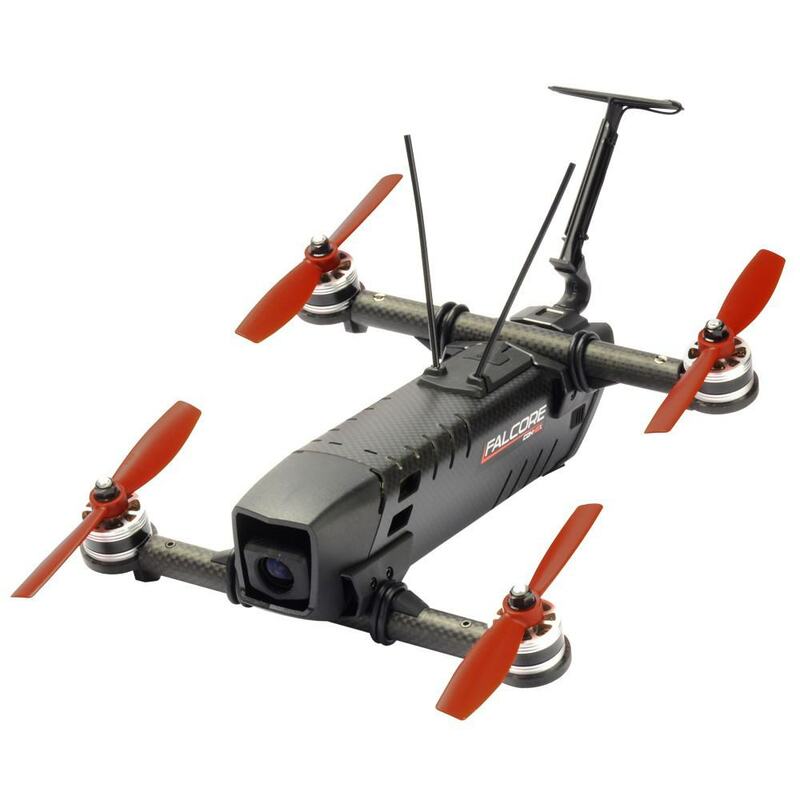 Due to the lightweight (299g without battery and propellers) and solid 5mm full carbon fiber frame, this drone is built to deliver high speed, a smooth flying experience, and a fantastic overall experience! 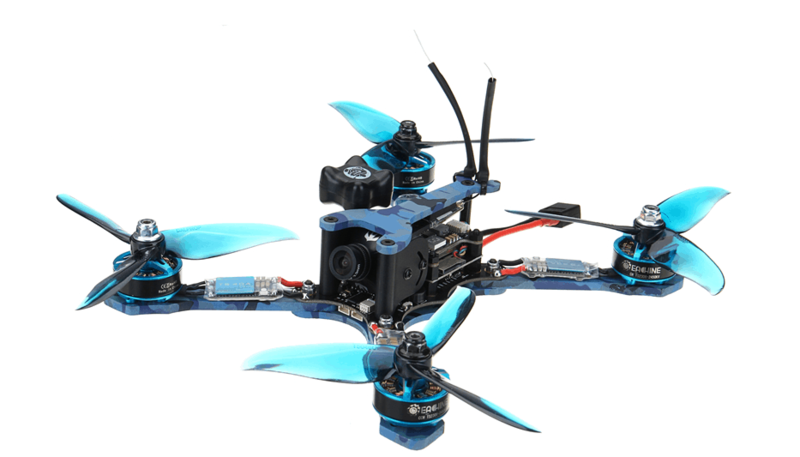 The Kopis 2 SE is equipped with four T-motor F40 PRO2 2400KV brushless motors, 35A ESCs, and four pairs of Cyclone propellers. The Kakute F7 flight controller is designed with a soft-mounted gyro – this helps reduce the in-flight vibrations without the help of software filters, which means you’ll have more control over how the drone flies. Kopis 2 SE is easy to connect with a wide range of goggles and transmitters, due to the Frsky R-XSR receiver and the Foxeer Lollipop 5.8G RHCP antenna with MMCX connector. Also, the Atlatl HV V2 VTX system works nicely with the adjustable RunCam Swift Micro FPV camera, which can be tilted upward to 90 degrees. Finally, the built-in OSD system for telemetry and change VTX settings while in flight. 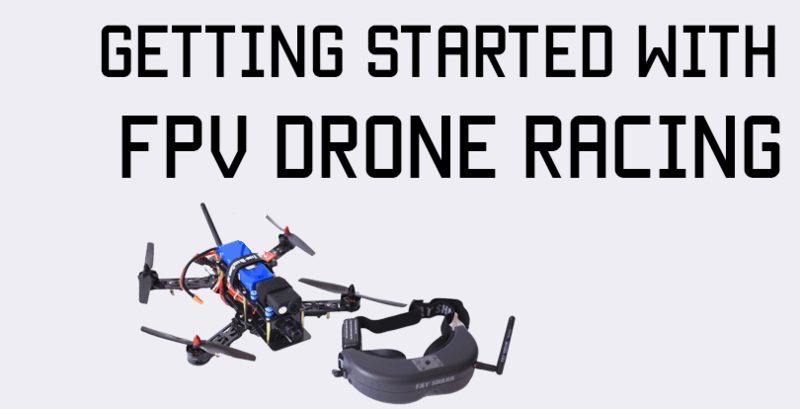 This racing quad has features for both beginners and pro pilots, but considering the hefty price, I would only recommend it to experienced racers. However, you should know that the Falcore HD was built with durability and flexibility in mind. The carbon fiber tubular frame is durable, and the arms joints can be dislocated if the quad gets in a more violent crash, in order to take over the shock and protect the internal components. When it comes to flying, the drone supports 4 different modes, starting with SHIELD (which makes use of the barometer and sonar sensors to automatically maintain altitude), and going up to Acro (for incredibly tight turns). The Falcore also features a Stop and Land button, so you don’t have to worry about landing it safely. The drone is quite portable since it’s easy to remove the arms. It also comes with prop guards, for extra protection or indoor flights. Finally, the drone supports HDMI video output and can be connected with a monitor or compatible HDMI goggles, such as the Fat Shark Dominator. 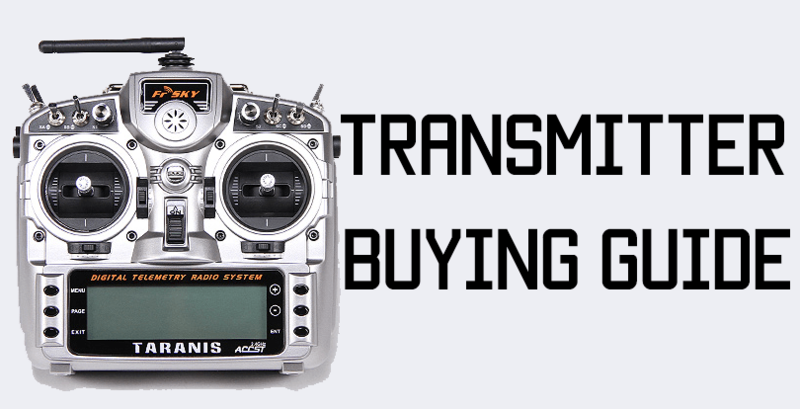 At the end of the day, most FPV racing drones can be upgraded (if you know what you’re doing). However, if you are just starting with the sport, I recommend an RTF design, that’s affordable and durable. Once you get the hang of flying at high speeds, it’s easier to move forward to your next racing drone.